Mother's Day is almost here, and in addition to honoring the amazing mothers in our lives, fellow fashion blogger Toni and I are celebrating this colorful floral scuba skirt from Target that we both have. As an avid wearer of floral prints, this skirt embodies everything that I love: a flirty A-line shape, modern scuba fabric, and a versatile color palette. I'll be showing how I'd wear it to a Mother's Day dinner, while Toni is styling it for Mother's Day brunch. Here's a look at both of our outfits. I dug up this old favorite mint blouse to bring out the pastel hues in the skirt, and added a statement necklace for extra color. Simple heels in a skin-tone color help to elongate the legs, while a mini crossbody in my favorite shade of blue complements the colors in both the necklace and skirt. 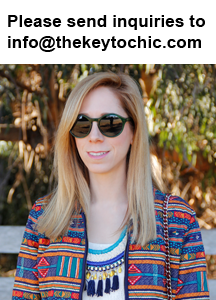 Click each numbered item below to get the look. 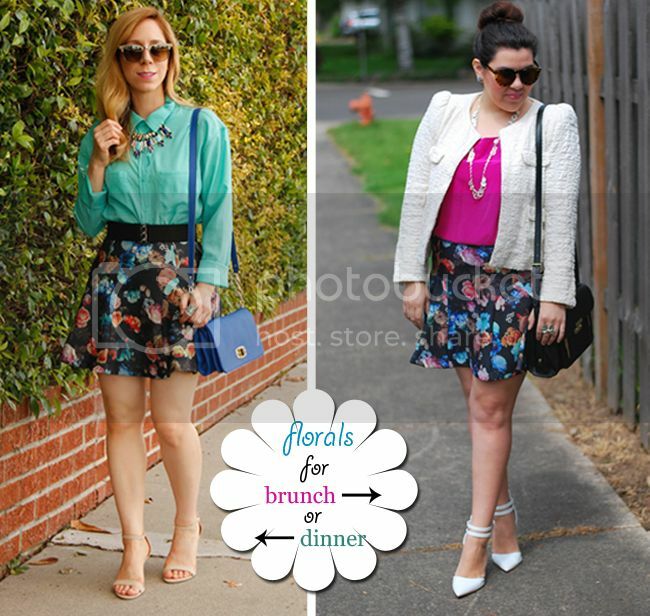 Have a peek at Toni's blog to see more of her floral outfit and how to steal her chic style! Share your own floral print favorites and get more style inspiration with #TargetTwins on Pinterest, Twitter, and Instagram. Be sure to watch this space for a continuation of our #TargetTwins florals theme this week.